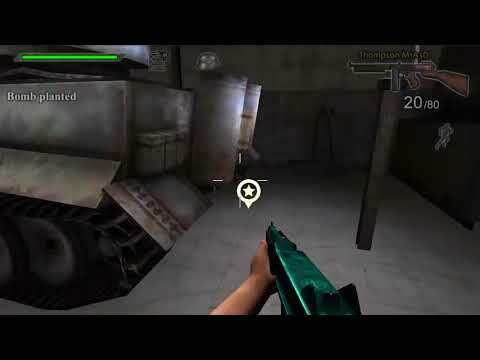 Traitor is a World War II first-person shooter game (FPS). The game tells the story of desperate renegade and his plot against oppression during World War II. Colonel Claus as elite ww2 officer decide to become a hitman, stealth FPS warrior to chase the enemy of freedom and become a real hero in secret. The game emplies stealth, hand-to-hand assassinations. Are you a fan of the good FPS shooting games? This first-person shooter features stealth tactical gameplay, high-quality graphics, and fast-paced action, with secret stealth escape story in WW2 environment. Game features some of the most iconic firearms of WW2, from the German Luger to the American Thompson submachine gun. Be a part of the heroic fight for freedom. Don’t get caught by gestapo agents, eliminate oppression and escape from WW2 battleground. • Perfect optimization even for weak devices! - Avoid Gestapo agents even you have a german uniform. - As an officer do not carry rifle. - Do not aim at soldiers. - Double tap left side to fire.